Attorney Seccareccio is a partner of Manzi, Seccareccio & Merwin, P.C. He received his Doctor of Jurisprudence degree from the Massachusetts School of Law in Andover Massachusetts in 1994. He practices in all areas of criminal and civil litigation. Attorney Seccareccio has zealously represented his clients in over one thousand criminal and civil litigation matters. 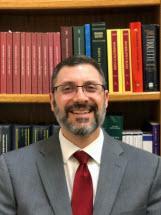 He has litigated cases in the Massachusetts Superior Courts, District Courts, Land Court, Housing Courts, and has appeared before the Massachusetts Supreme Judicial Court and the Appellate Division of the District Court. He has also represented clients before local city and town boards and commissions as well as before Massachusetts departments and agencies. 45% Civil Litigation (includes personal injury, landlord/tenant and admin. hearings.